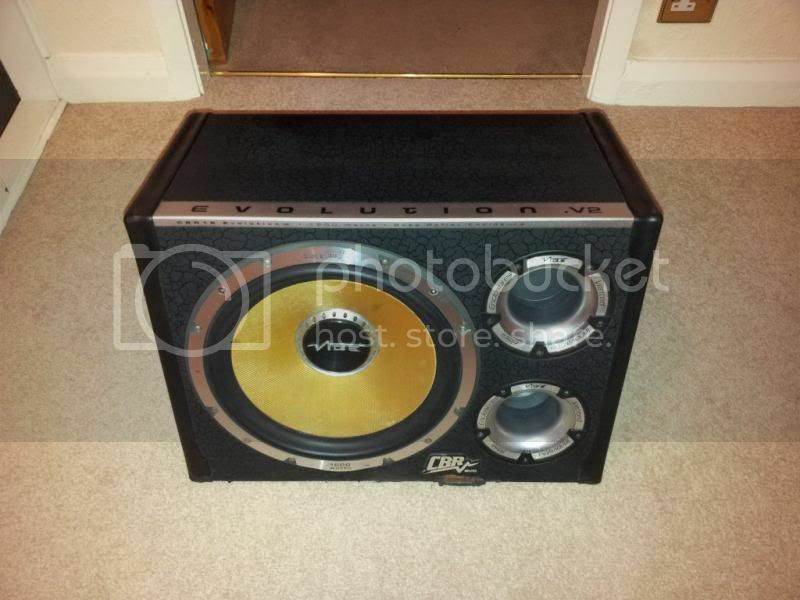 1600 watt max, 12" sub with built in amp. I believe it is 600 RMS. Its fully working and can go LOUD if turned up. Slight wear to the lower front. Would be easy to sort out if needed to look cleaner for some kind of install.